Chocomania™ range proved so popular that THE BODY SHOP decided to make it even more special and luxurious for Valentine’s Day. Our delectably decadent Chocomania™ bath & body range just got even more indulgent with a brand new luxe look, the sumptuous textures and divine chocolatey-scent stay the same but we’ve given the entire range an exclusive make-over so it looks ultra-precious and über-stylish. Celebrate ‘True love’ with decadent, sensuous and indulgent deluxe edition Chocomania range, guaranteed to plunge you, your skin and your senses straight into chocolate heaven. Let a little luxury into your life. Enjoy a blissful, indulgent body experience that delivers extra long-lasting hydration – heavenly! WEAR IT, LOVE IT BUT DON’T EAT IT! Chocomania™ Deluxe Edition collection benefits from the finest Community Fair Trade cocoa butter thanks to our relationship with Kuapa Kokoo, a co-operative in Ghana. Cocoa pods are hand harvested and the beans are extracted, sun-dried, ground and pressed into butter. The co-op helps to give 50,000 small-scale farmers a fair wage and a guaranteed regular income. The Kuapa Kokoo Farmers Trust also helps to provide health and education facilities for the wider community. The Chocomania™ Deluxe Edition range has a huge heart! It features 13 Community Fair Trade ingredients from 11 countries around the world – the most we’ve ever put into one collection. 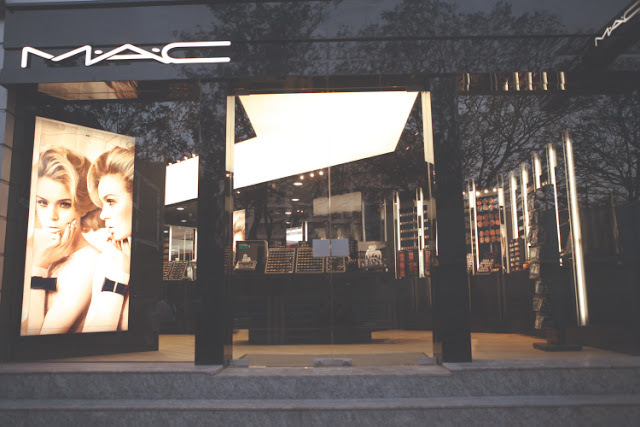 January 24th, 2013 - M·A·C Cosmetics India opens its most awaited, exclusive PRO Store at Juhu, in Mumbai which was the first store launched by the brand in the country. M·A·C PRO was founded with the goal of providing superior products and education to professional makeup artists, who are an integral part of the M·A·C DNA. 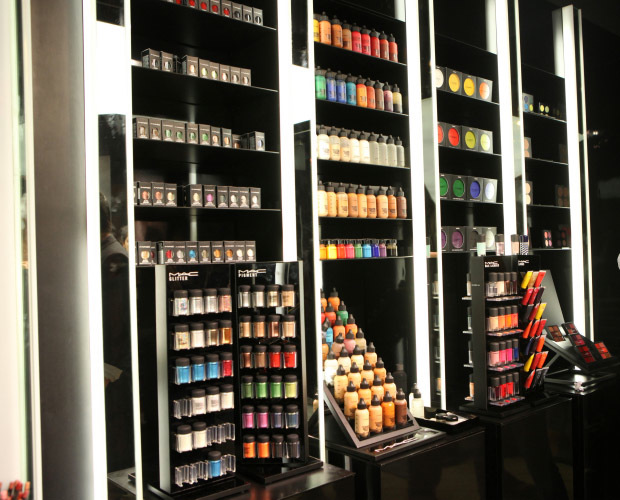 The contemporary PRO Store will cater to the professional makeup artists, who embody the “art and soul” of M·A·C. The visually stunning over 1,000 square-foot space is located at Shopper’s Stop, in Dynamix Mall. The store design is a juxtaposition of styles and textures. It combines materials such as wood, high gloss surface, mirror and colors with a signature M·A·C acrylic to create a unique look and feel. 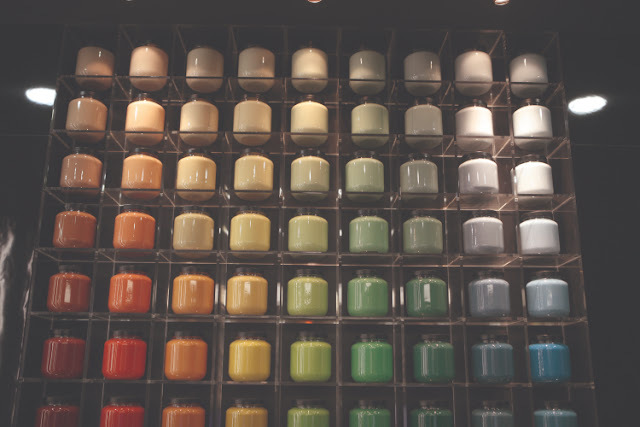 The overall neutral palette is punctuated by a playful, colourful wall displaying an array of mason jars filled with vivid paints and pigments that communicate M·A·C’s commitment to colour cosmetics. 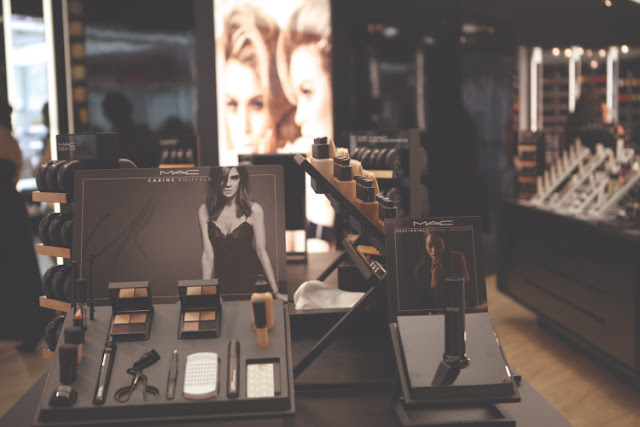 With its spaceful makeup zone comprising five makeup stations, the new M·A·C PRO store would be a place where the artists could expand their skills, enjoy their craft and provide an opportunity for growth and experimentation. Finally, a neat combination of halogen and fluorescent lights has been installed to render daylight, providing the most accurate environment for colour study. 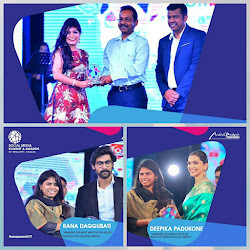 Mickey Contractor- Director of Makeup Artistry, India & Sonic Sarwate- Senior Artist, India played gracious hosts to several industry biggies like Dipannita Sharma, Nethra Raghuraman, Mini Mathur, Farah Khan, Ojas Rajani and various professional makeup artists. “This has been truly an amazing, successful step by M·A·C worldwide and we are so thrilled to announce that India will now have its own M·A·C PRO Store. 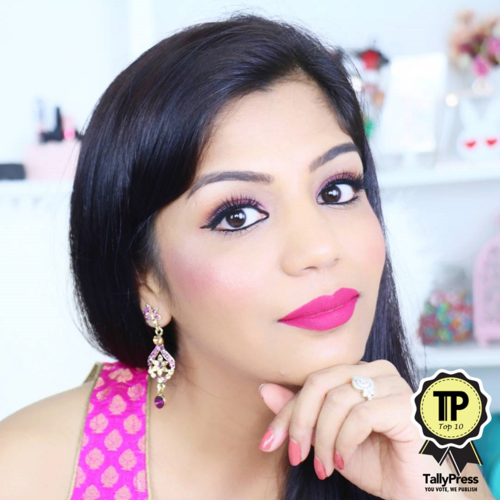 PRO members from India and other makeup artists within the country would be happy to know about the launch and we look forward to a collaborative and creative exchange of ideas.” says Mickey Contractor, Director of Makeup Artistry, M·A·C Cosmetics, India. “Every M·A·C trained artist in a PRO store delivers knowledgeable and exceptional service to customers around the world with their unique M·A·C style and enthusiasm, they are always eager to share their creativity passion, originality and technical expertise with fellow artists from the industry. I am also super excited that all the trend-setting work we do at Fashion Weeks such as New York, London, Milan, Paris, India amongst others will now be shared proactively with M·A·C PRO members from India.” adds Sonic Sarwate, Senior Artist, M·A·C Cosmetics, India. 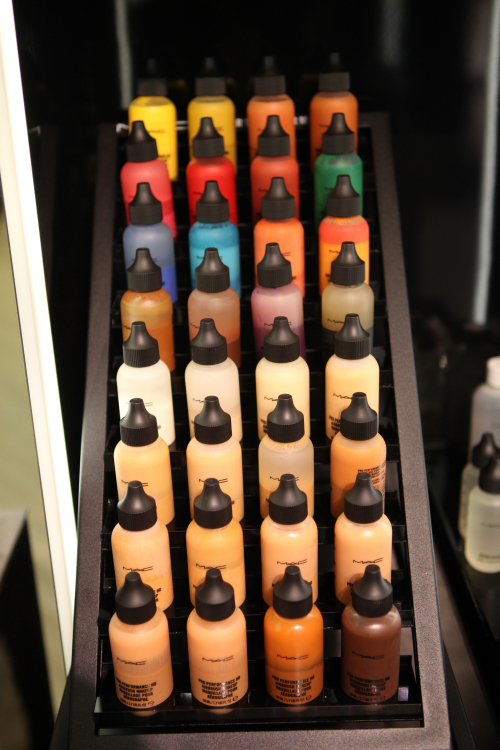 M·A·C PRO Products are a line of cutting-edge, performance-tested products developed exclusively for professional makeup artists. Consisting of more than 250 different products, M·A·C PRO collection provides makeup artists with the high-quality formulation, colours, and finishes needed to unleash their creativity at fashion shows, photography shoots and on television and film sets. 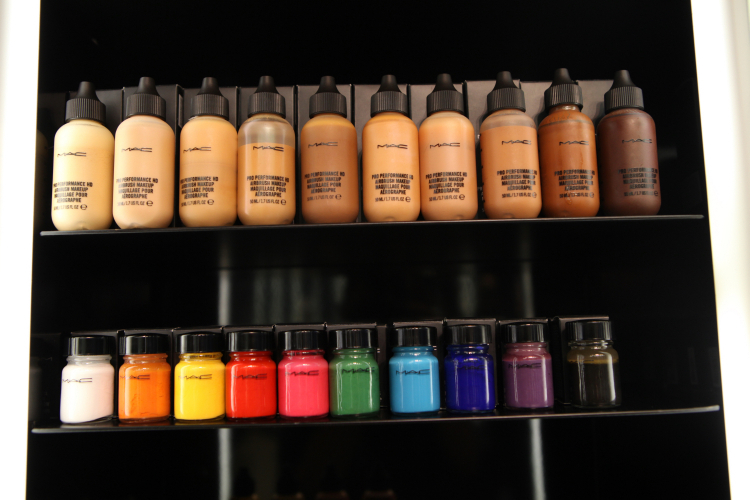 By subscribing to M·A·C PRO program, PRO Store members get access to the macpro.com website, a destination for information, insights and illumination from top PROs and they are also the privileged first to get runway-ready tips, tricks and techniques straight from the Masters’ palettes. PRO Store members are also invited to attend Master Classes conducted by top tier artists and are a part of reviews and other networking activities. Along with all this, PRO members will benefit the exceptional M·A·C PRO discount which is valid in any other PRO Store across the globe. Finally, the store will cater normal lineup products alongside the full range of M·A·C PRO, and be open to the public to encourage a lively dialogue between M·A·C professionals and devotees alike. 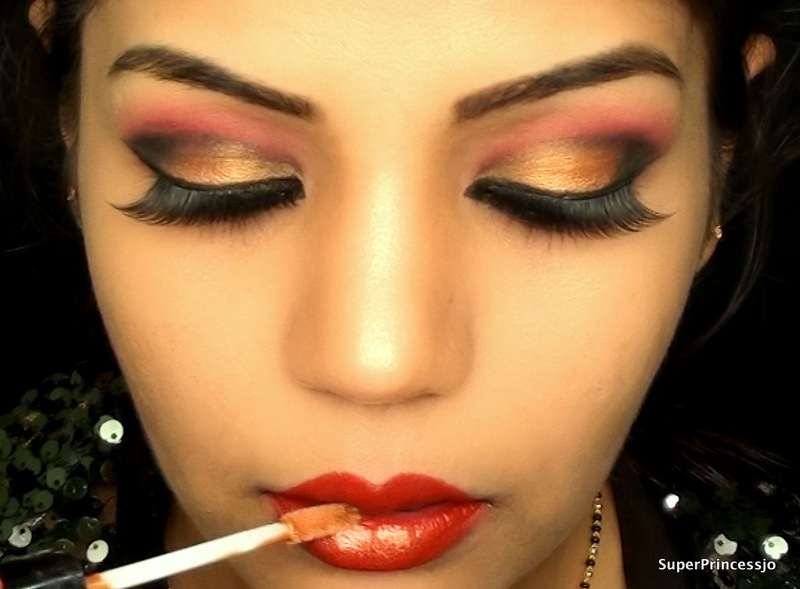 I will be Posting another tutorial for the complete face makeup for this INDIAN BRIDAL WEDDING MAKEUP RED AND GOLD BOLLYWOOD EYE MAKEUP FOR INDIAN SKIN TONE look. Bollywood Inspired Indian Bridal Wedding Make up Tutorial Gold and Green eye makeup for indian skin tone, dark,brown,tan,beige,warm,golden skin makeup, south east asian makeup tutorial.